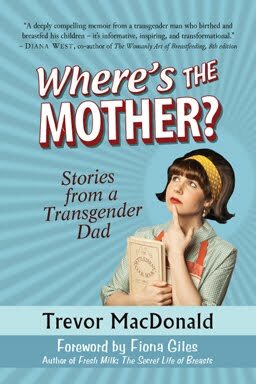 Transmasculine Individuals with Birthing Care? Do you self-identify as transmasculine? Have you been pregnant, given birth, breastfed or chestfed your baby? I am the research coordinator for this study titled, "Transmasculine Individuals' Experiences with Pregnancy, Birthing, and Feeding Their Newborns: A Qualitative Study". The researchers are Joy Noel-Weiss and Michelle Walks. The study has ethics approval from the University of Ottawa Ethics Review Board. I have been involved in designing the research study, and I am conducting participant interviews. I will work with Joy and Michelle to analyze the data and write the final papers that we will publish. Our research team also includes lactation consultants, MaryLynne Biener and Diana West, and midwife, Alanna Kibbe, each of whom have experience working with trans* clients. We are trying to understand what works and what does not work - especially how nurses, physicians, midwives, and lactation consultants can better help transmasculine individuals. Your participation would involve 2-3 interviews – one or two to tell your story and then a final interview later to confirm the findings. The study will be only conducted in English. Participants will remain anonymous in all published material. If you are interested in more information or would like to join the study, please email me at tmacdon3@uottawa.ca, reply in this thread, or send me a private message. Anyone who self-identifies as transmasculine and has experienced or is currently experiencing pregnancy and birth is eligible to be involved in this study. There is no requirement regarding transitioning or method of infant feeding. Transmasculine individuals who planned their transitions after pregnancy and birth, as well as those individuals who transitioned before pregnancy and birth, are eligible to participate. Please feel free to share this post with anyone who you believe may be interested.